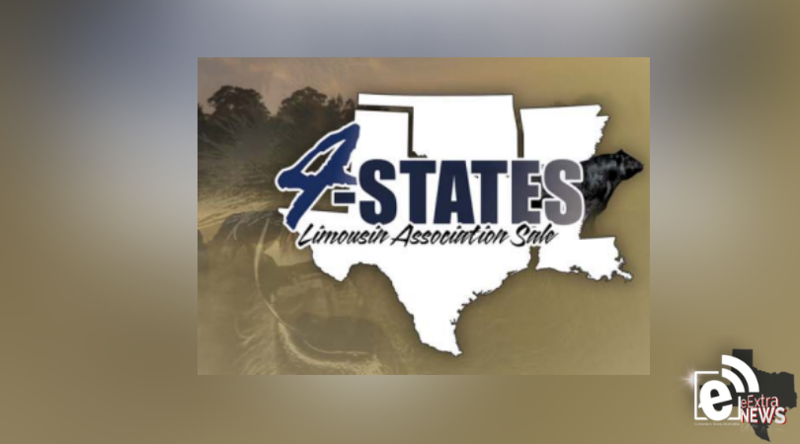 4-States Limousin Association is having its annual fall sale in Mt. Pleasant, Texas once again. This year’s sale will feature the dispersal of the late Everett Martin of Martin Limousin of Luther, Oklahoma. Everett’s herd has raised the top selling bulls at several Oklahoma Limousin bull sales for several years in a row and these are the factories and some have split off calves at their side. There are two new Angus consignors that will be bringing some great cattle as well, Green Meadows Angus of Madisonville, Texas, has been consigning the top selling bulls at the Houston and San Antonio all breed bull sales for the last several years and Mike Thomson Angus of Mt. Pleasant, Texas, consigned a few at last year’s sale. 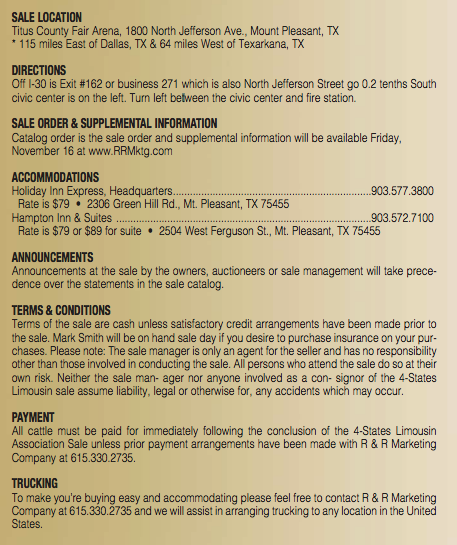 Lunch will be provided sale day and cattle will be available to view Friday afternoon. 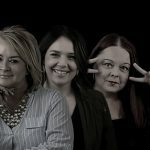 Call Kevin Counsil, president, or any member of the sales staff and they will answer any of your questions.